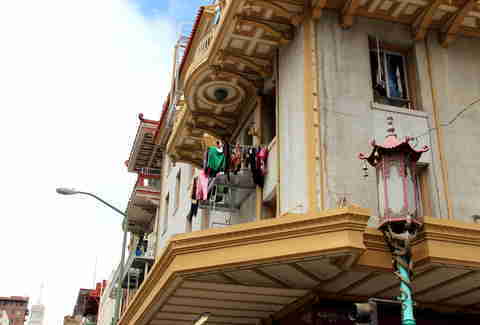 There's something for everyone in Chinatown, whether you want to hit a Hong Kong-style cafe for a bowl of macaroni soup with Spam and fried egg for less than $5, or smoke a cigarette with old Chinese men. First and most importantly, though, if you really want to do Chinatown right, take an entire day to do it -- even if it requires you to take a nap on a bench at Portsmouth Square (which I've done before, post-dim sum). Here, you'll see older Chinese folks with coffee and a newspaper, usually passionately discussing the news. I asked one of the regulars why he comes here. "It's economical," he said, super excitedly. "At Starbucks, a coffee is $2.50. Here I can get a pastry and coffee for $1.80... with free refills." Plus, "lots of Chinese gossip!" -- which is priceless. 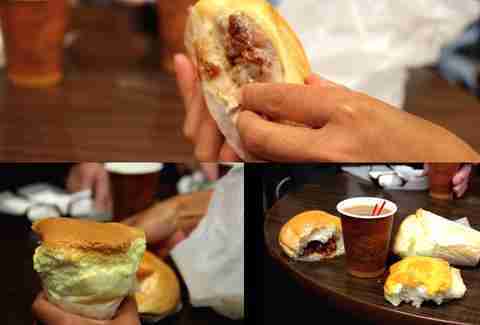 I go to feel like I'm part of the gang -- but also for the pastries: the softest spongecake, pineapple bun, and pork bun. All three, plus a coffee, is only $5. FIVE. DOLLARS. 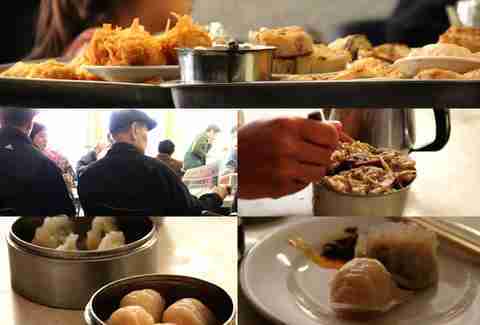 My dim sum spot of choice is Dol Ho, because it's cheap and perfect for people-watching. You'll find the OGs camped out here in the morning with their Chinese newspaper, jasmine tea, and chicken rice. Favorite dishes are their shrimp & chive dumplings (which you can order from their take-out window, and they'll deliver in a plastic bag), but I recommend taking a seat -- don't be afraid to ask people to share a table with you when it's crowded. Forget paying $10 for green juice; you can get your green fix here for $3. Ask the owner what's in their version, and she'll point to a photo light box picturing six ingredients: apple, cucumber, celery, bell pepper, and bitter melon. 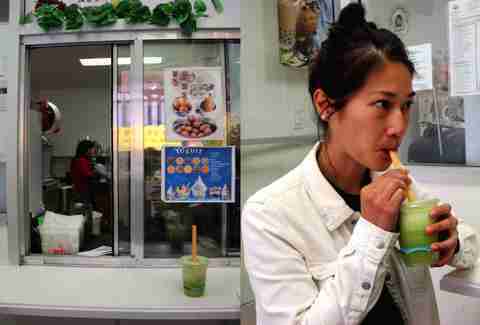 It tastes mostly like cucumber with a hint of spice, but more importantly, it'll help clear out whatever heavy foods you've been snacking on in Chinatown (especially if you follow this guide). It's juice, without the hefty price and the obnoxious lifestyle marketing that may or may not come from a website that rhymes with "poop". This place could definitely be described as the Berkeley Bowl of Asian snacks. Here, you'll find a robust selection (two whole floors!) of Pockys, ramen, crackers, gummies, jellies, and cookies. It's where all of your Asian snack dreams are finally going to come true. If you're going to take your parents to any Chinese restaurant, take them to R&G. 1) This is where all the Chinese families go, and 2) they can pay (because it's a bit pricier). 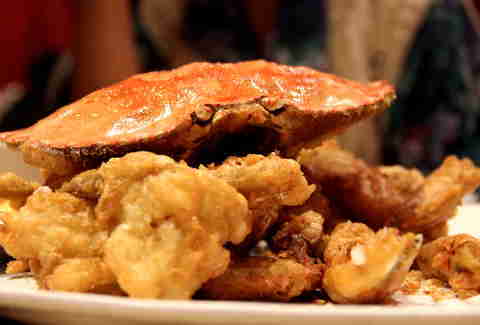 The fried salt and pepper crab is a must, and the baked black cod is so tender, it jiggles like Jell-O when they bring it out to you... which I promise is a good thing. This place boasts the best views (and pictures of celebrities from the 1970s, including Mr. Chuck Norris). 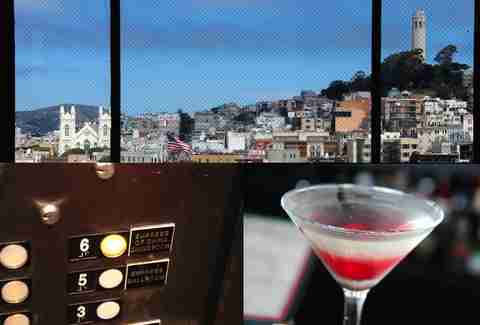 Up on the sixth floor, their floor-to-ceiling windows offer a view of Telegraph and Russian Hill. Get a martini and get ready to impress whoever you're with. 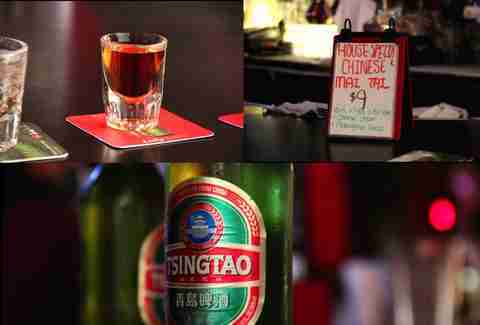 Also: their happy hour from 3-6pm daily offers half-off drinks and bar snacks. Go then. Grab a round table with a group of friends, and order away. 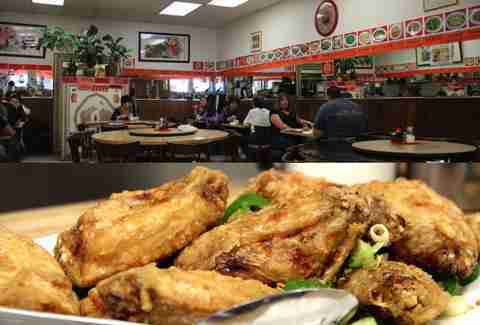 They're famous for their fried chicken wings -- lightly battered, extra crispy, and best doused in their chili sauce. 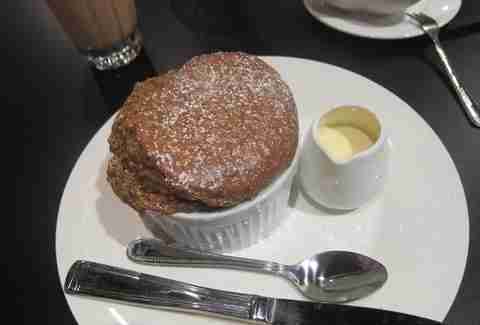 Souffles (fluffy cakes that taste like a cross between pudding and cake) are made to-order here, a process that takes 30 minutes. The purple yam is my favorite, with a side of condensed milk to pour on top. Order the durian soufflé, and expect the place to stink up in the best way possible. This typical, Hong Kong-style cafe takes Western cuisine and flips it on its head (take that, Western cuisine!). 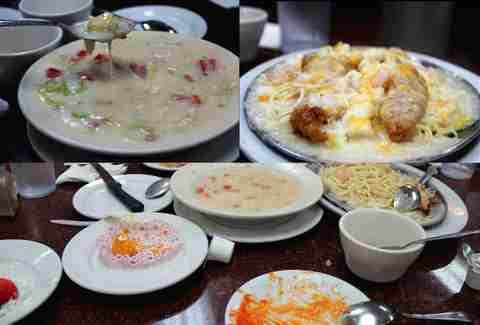 On the menu, you can find baked cheese spaghetti with fried fish and shrimp, plus a club sandwich in the form of a soup (chowder, lettuce, bacon, and sliced ham), fried quail, and boba. The best time to come here is when you're feeling a little buzzed and want to eat trashy on the cheap. The go-to spot for dan tat, or egg tarts. Bring these guys to an Asian family's gathering, and get mad brownie (or dan tat) points. Valerie Luu is a vagabond, snacker, and writer. 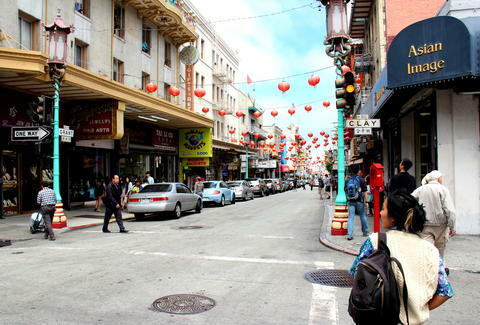 You can follow her sublet adventures at subletsf.com and on twitter @valerieluu.